The largely new management team at burrito and Mexican food-themed keto bowl joint Chipotle (CMG) scored a win. Fueled by a combination of better marketing, new menu items and re-trained restaurant staff, Chipotle served up much better than expected fourth quarter results on Wednesday. Fourth quarter adjusted earnings came in at $1.72 a share, crushing Wall Street analyst forecasts for $1.37 a share. Same-store sales increased 6.1%, ahead of estimates for 4.5% growth. “We are in the early innings of our turnaround —maybe the second or third inning,” Chipotle Chief Financial Officer Jack Hartung told Yahoo Finance. Hartung has been with Chipotle since 2002, so he has seen and done it all at the company. That includes the company’s rapid ascent into the restaurant scene in the early 2000s to its swift descent in 2015/2016 amid several food quality issues. Chipotle shares popped 14% on Thursday in response to the results. The stock is up a a cool 106% since long-time Taco Bell executive — aka the brand’s brainchild for some time — Brian Niccol tool over in February 2018. Hartung said Chipotle will spend 2019 driving home why people were once obsessed with Chipotle — namely hearty portion sizes and good non-processed ingredients. Hartung adds Chipotle will move aggressively to expand its new delivery service and mobile ordering capabilities. That indeed makes a lot of sense. Chipotle’s digital orders spiked 65.9% in the fourth quarter, faster than the 48% growth rate in the third quarter. The digital business now represents about 12.9% of sales, or $158.6 million in the fourth quarter. Data analysis is also being done into whether Chipotle should raise prices more often, but by less of a magnitude than in the past, to better compensate for things like higher minimum wages. 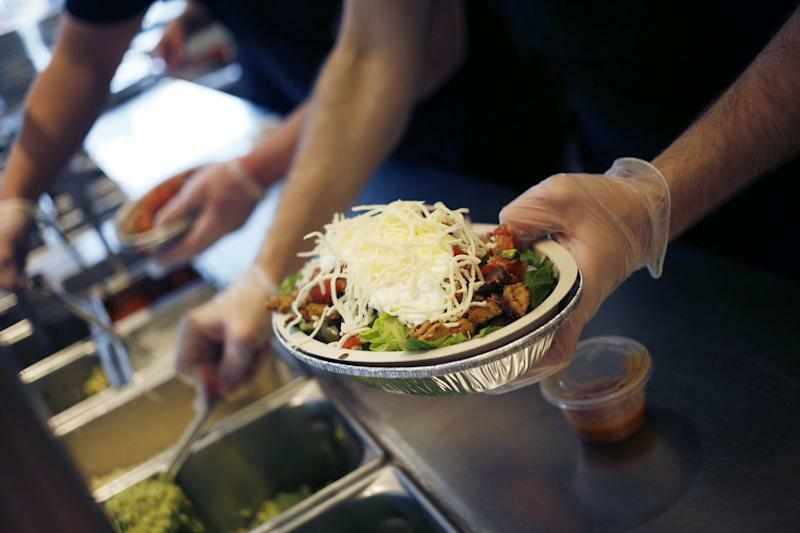 For Chipotle, the turnaround in its business and stock is welcome news. The company was besieged by an outbreak of food-borne illnesses in 2015. Sales and profits subsequently slumped as consumers shunned the chain.